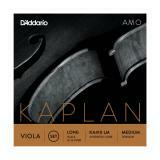 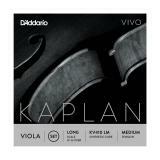 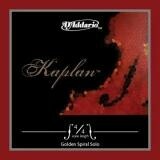 D'ADDARIO KAPLAN AMO Viola Long scale 16"-16 1/2"
D'ADDARIO KAPLAN VIVO Viola Long scale 16"-16 1/2"
Kaplan Viola strings offer the beautiful, rich tonal palette and the superb bowing response characteristic of the Kaplan line. 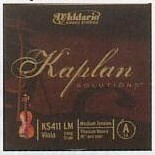 The set provides clarity and warmth across registers, and versatility throughout the dynamic spectrum, allowing top-level players the control, expression, and worry-free playing experience they demand. 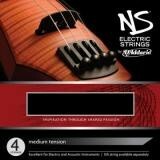 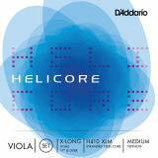 D'ADDARIO ZYEX Viola Long scale 16"
D'ADDARIO ZYEX Viola Medium scale 15"-16"
D'ADDARIO HELICORE Viola Long scale 16"
D'ADDARIO Helicore Viola Medium scale 15"-16"
D'ADDARIO Helicore Viola Short scale 13"-15"